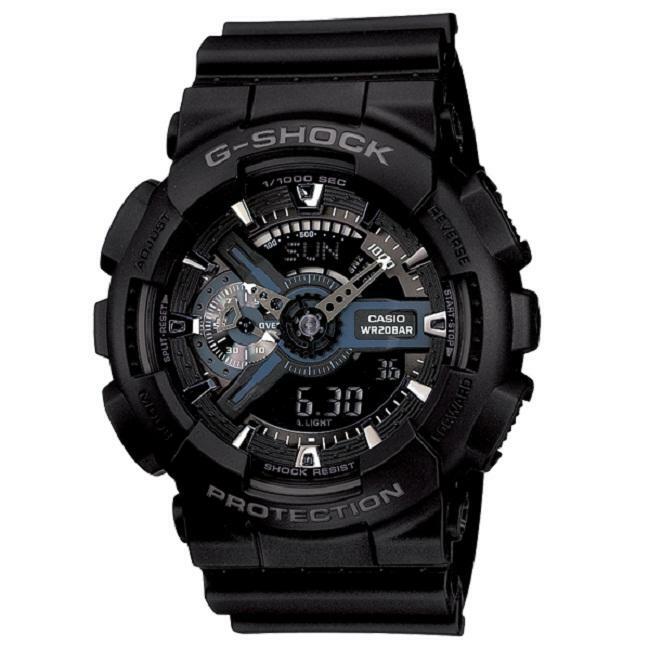 A combination of analog and digital displays top the black dial in the black resin case of this handsome men's watch from Casio. A variety of functions and a black resin strap make this a versatile and durable watch for everyday wear. Great watch for everyday use. 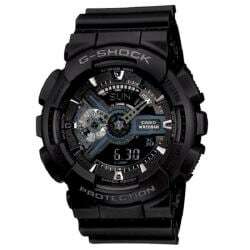 My husband likes Casio’s G-Shock and this is an upgrade from what he originally had. Great price and product. I bought this watch for my hubby for Christmas. He's a watch guy and this is among his favorites. The background light is helpful when you are in dark places! Overall this was a great buy. Great purchase! My husband has been asking for this style watch to be able to wear everyday. He loves it and it looks great with everything. Needed for navy boot camp. "What will the total price be to south africa"
Hello andries, we recommend switching to our international cart that can be found here: http://www.overstock.com/intlcountryselect/. Your shipping costs and fees will be assessed once you enter your shipping information. Thanks for shopping with us! "can the strap be replaced or changed with a typical watch strap replacement that 24 mm"
Hello Richard V., I'm not sure if you can replace the strap with a typical watch strap, but since Casio sells replacement watch straps, then yes it can be replaced with another one exactly like that one. I hope this helps, thanks for shopping with us.